Air Inter Flight 148 was on a scheduled night flight between Lyon and Strasbourg, France. The flight departed Lyon at 1740 local time. The crew originally planned to fly an approach to runway 23 at Strasbourg. However, runway 05 was the active runway and the crew, after being advised that an approach to runway 23 would create delays, accepted the approach to runway 05. At that time, the airplane was very close to the point where the approach would begin. During the initial phases of the approach, while maneuvering to align with the runway, the flight began a very steep descent, after which no further transmissions were heard from the aircraft. The aircraft impacted La Bloss Mountain at an elevation of 2,620 ft, 0.8 nautical miles (nm) left of the final approach course and 10.5 nm from the end of the runway. 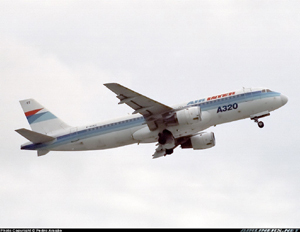 Eighty two passengers and five crew members died in the accident. (quite probable) misunderstanding involving vertical mode (resulting either from an omission to change the trajectory reference, or from poor execution of the command to change it) or of an error in displaying the consigned value (mechanical digital display of the numeric value given out during the briefing). (very improbable) hypothesis of a malfunction of the Flight Control Unit (FCU) (fault in the push-button used for changing mode, or corruption of the consigned value, displayed by the pilot on the FCU before it is captured by the Autopilot computer).